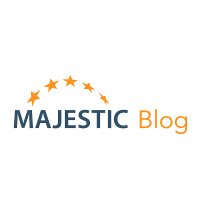 MajesticSEO gains its 10,000th registered user. Is it you? Majestic SEO vs Google Webmaster Tools – responding to Dave Naylor! Majestic Upgrade – Minor on the surface. Huge underneath. Previously, when you interrogated a domain, we returned all the links in our database. Even the ones that we have marked as deleted or otherwise not related to SEO. We fixed that today. We had a sneak peek at SearchDNA today.